Jozi (Un)cooked offers raw and vegan catering, food preparation classes, raw and vegan take-away services and personal chef services in the greater Johannesburg area. We also offer guidance on grocery shopping and menu consulting, in person or via the web. 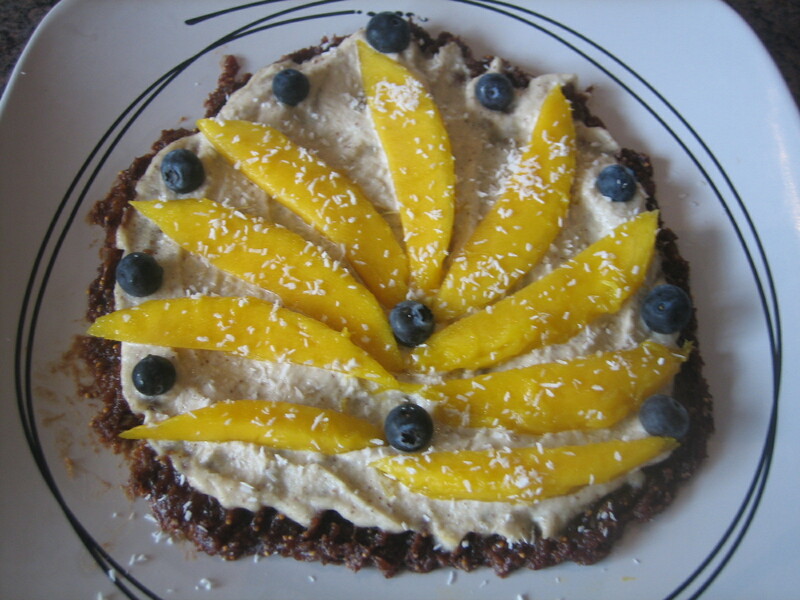 Specialty raw food products, such as nut cheeses, gluten-free crackers and cakes are available for purchase. 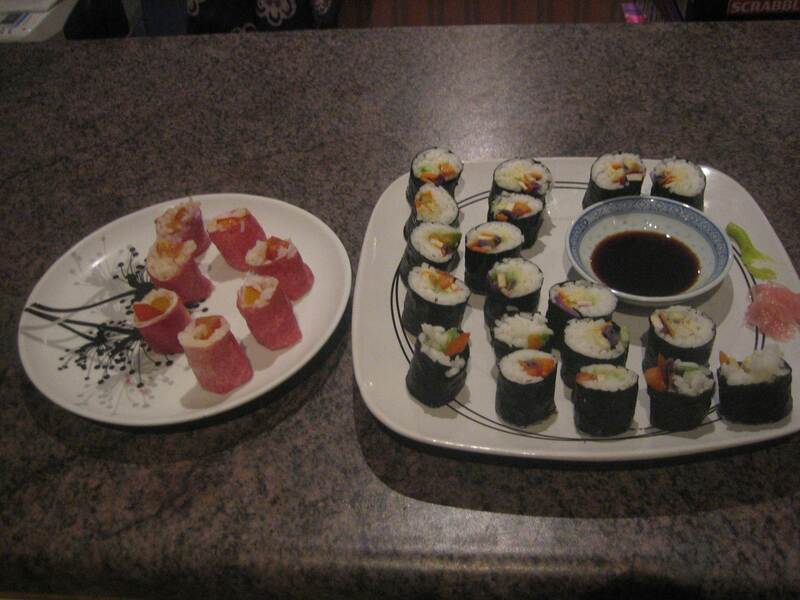 Raw food preparation classes are currently offered in Observatory, Bryanston and Emmarentia. Vegan cooking classes are also available. 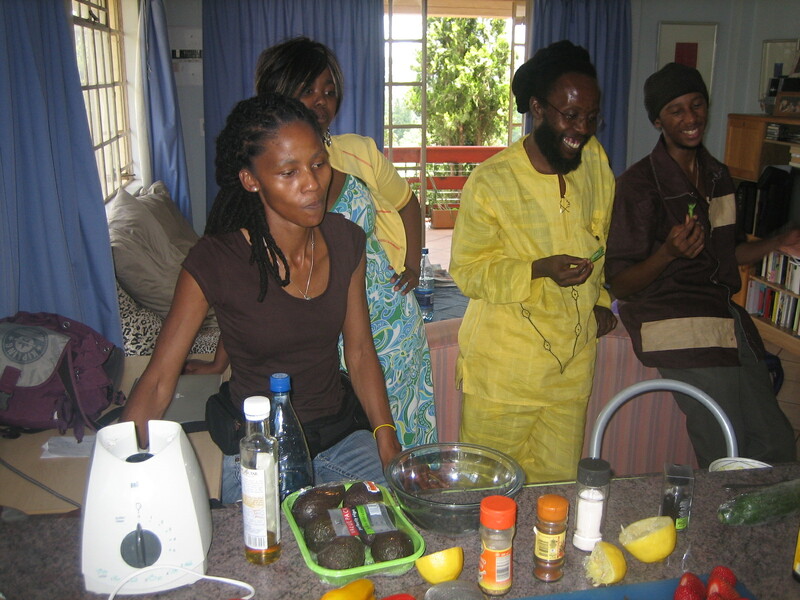 However, you are welcome to organise a group (minimum 6 people) for a raw or cooked vegan food preparation class. It can be held in Observatory, or at a place more convenient for you. Classes usually involve about 3 dishes and take 2-3 hours. You can choose a type of cuisine (e.g. Mexican, Thai or Italian) or a type of dish (appetizers or desserts). Why not make your next party a little more exciting, by having your guests create their own food? Or try a workshop as a team building activity with your colleagues. Raw take-aways are currently offered every Tuesday in Johannesburg. Pick-up is at Jozi Uncooked in Observatory; Fruits and Roots in Bryanston; Greenlands in Parkhurst; Fresh Earth in Emmarentia; and Roots in Illovo. Catering is available for all kinds of events. Raw and cooked vegan menu options are available upon request, and can be customized to suit your tastes and dietary needs. Raw, vegan and gluten-free cakes are also available for special occasions. Come visit our stall at the Market on Main on Sundays at Arts on Main in Maboneng Precinct, Johannesburg, where we sell loads of raw and vegan goodies. Contact us at joziuncooked @ gmail.com for more information (remove extra spaces when e-mailing). Hi Innocent. Keep an eye on the sight, I’ll be posting a course schedule soon with upcoming classes in Observatory and Bryanston. Hi brittany – can you please send me your weekly takeout menu? I also need to bring in snacks to work as it was my b’day i thought I’d expose my office to some delicious raw foods and extend them all beyond belief, what sort of platters could you arrange both sweet and savory? I would like to know if u offer vegan classes in Dbn? I would like to take part in raw vegan food preparation class. Great! Please email joziuncooked@gmail.com to book. Hi, please let me know when a raw food and vegan course will be available. I live in Fontainebleau Randburg. Also the cost and what we need. There will be six or more of us. If you send your email address to joziuncooked@gmail.com we can send you course updates. Hi Marion, Sadly I’ve never found any samphire in Johannesburg. I’ve only had it in Europe.